America’s biggest import from Mexico is the food. Without their tacos, nachos and burritos, our lunch times would be decidedly less interesting; without the salsa, guac and sour cream, our chips would be lonely and bland. We are in love with Mexican food, and an entire industry has been built upon it. Some of the biggest food chains in the country specialise in this cuisine. And one such chain that has been catching the eyes of franchisees, critics and customers for over a decade now is Moe’s Southwest Grill. This casual dining restaurant specialises in all things Mexican, with a menu rich in authenticity and big on flavor. The Moe’s Southwest Grill menu and secret menu are a joy to behold, as we shall discover. This is one of the fastest growing chains in the food industry, and for a 6 month period it outgrew many of its bigger rivals. Moe’s Southwest Grill is a relative newcomer, having launched as recently as 2000. It was created by Raving Brands, the same company that launched Smoothie King just 5 years earlier. In the first 5 years of operation the brand grew steadily, turning a healthy profit and becoming a force in the industry. In 2007, the expanding Moe’s Southwest Grill was acquired by Focus Brands, a huge brand with a massive influential and a global reach. This means that Moe’s Southwest Grill is owned by the same group that owns Cinnabon and Auntie Ann’s, making it part of a corporation that operates over 3,300 stores around the world. Moe’s Southwest Grill is big on popular culture. It has latched onto the obsession that many people have for pop culture references and it uses many of these on its menu. Most of their dishes are named after famous films and TV shows, including “Who is Kaiser Salsa”, which was taken from the cult film The Usual Suspects; “Billy Bayou” from the 80s flick Caddyshack; and “Wrong Doug”, from the hit comedy The Hangover. Of course, cute names and relevant references don’t get you anywhere in this game. But Moe’s Southwest Grill also serves fresh and delicious food. This is a Mexican fast casual restaurant, so everything is reasonably priced, everything is served quick and everything is influenced by Mexican cuisine. It has won numerous awards for its food, its service and its franchise operations. In 2016, it was voted as the Best Mexican Restaurant by Harris Poll, beating bigger and more well known brands like Chipotle and Taco Bell in the process. The Moe’s Southwest Grill menu references popular culture, with names of TV characters, quotes from films and more. Moe’s Southwest Grill is Mexican fare served for American tastes. Many popular ethnics foods are prepared a little differently in the US. Chinese food is much fattier and sweeter than it is in China; and Italian food is often more cheese and pizza based. But when it comes to Mexican food, there is more of an authentic feel to it. That isn’t always the case and there are certainly some differences, but for the most part, it’s the same here as it is south of the border. At Moe’s Southwest Grill, the food isn’t too dissimilar to Chevy’s Fresh Mex or even to El Pollo Loco. It’s heavy on the carbs, the cheese and the spice, and there are all kinds of chopped veggies, minced meats and mushed beans to add to your tacos and burritos. The things that you will find on an authentic Mexican menu include creamy guacamole with nachos, bean burritos and fresh salads. The things you probably won’t find include tofu fillings and oatmeal raisin cookies. It’s a nice mixture all-round, and one that caters for the Mex, Tex-Mex and American tastes. When it comes to secret menus, Mexican chains like this one lead the way. As you can see from the pop-culture menu items, Moe’s Southwest Grill likes to have a little fun with its customers. This is how a modern fast food restaurant should be, and it’s a trend we’re (thankfully) starting to see more and more of. They also keep things interesting by offering a secret menu, something which typically isn’t associated with casual dining locations. There isn’t much to the Chevy’s Secret menu or even the Olive Garden secret menu. But there are exceptions to that rule, and Moe’s Southwest Grill is one of them. 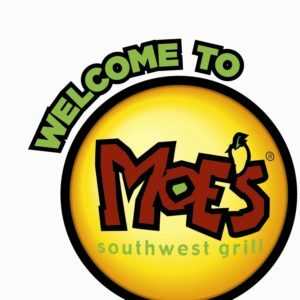 The Moe’s Southwest Grill secret menu is well worth a look if you want to discover some new menu items, menu hacks and hidden secrets. It’s not quite as big as the Chipotle secret menu or the Taco Bell secret menu. These are some of the biggest secret menus on this site and the biggest secret menus in general. But Moe’s Southwest Grill is catching up to them in terms of locations and revenue. It should be a matter of time before the Moe’s Southwest Grill secret menu matches them as well. If you want cheap and fast Mexican food served in a casual dining setting, then you can’t do much better than Moe’s Southwest Grill. It is roughly on par with the Abuelo’s menu, and with many other Mexican chains, and it is a little cheaper than the Chevy’s menu. Unlike the Del Taco menu, it doesn’t have a Dollar Menu, so don’t expect to load-up on snacks for just a few bucks. However, you can generally get a sizeable feast for just $15 and you can fill-up for less than $10. In fact, all of their menu items are available for less than $10. And while that wouldn’t be great for a fast food chain, it’s brilliant for a casual dining restaurant. 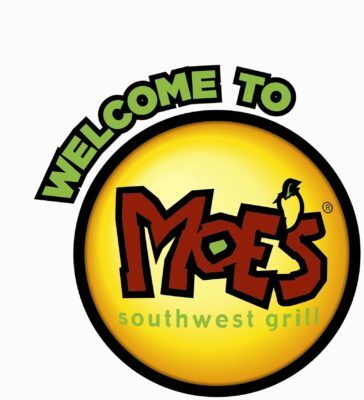 To see a full list of prices, just click onto our Moe’s Southwest Grill Menu Pricespage. Here you can calculate the cost of a Mexican feast for you and your family. You don’t have to load-up on fat and calories if you don’t want to. Check out nutrition info table to see what’s in your food at Moe’s Southwest Grill. “Fast food” has become synonymous with “low-quality”, “toxic” and “unhealthy”. But the industry is changing. It is reacting to the demands of consumers and the warnings of the healthcare industry. For the burger industry, these changes are difficult to come by. Because unless you take the Smashburger route and offer Veggie Burgers, then there’s only so much you can do. But it’s different for the Mexican fast food chains. This cuisine is built upon a foundation of superfoods, with plenty of beans, tomatoes, avocados and lean meats. It’s true that they add a lot of cheese, oil, cream and fat to the mix. But not in all menu items and the healthy alternatives are very easy to spot. So, if you’re looking for something a little less fattening, just opt for a dish that isn’t loaded with cheese, doesn’t have lots of fatty beef or pork, and contains plenty of vegetables. If you do, then there’s no reason why you can’t indulge your tastebuds at Moe’s Southwest Grill and still remain healthy, fit and slender (yes, we noticed, you handsome devil). It helps if you know what’s in your food, which is where our Moe’s Southwest Grill Nutrition Info page comes in. Just drop by, take a peek at our table and workout what the best dishes are for you, your diet and your dietary needs. A sign outside a Moe’s Southwest Grill restaurant. In 2014, Moe’s Southwest Grill passed 500 locations when they opened an impressive 120 additional locations in the space of just 6 months. This is the sort of rapid growth typically associated with larger chains. As a result, it took many people by surprise. It speaks volumes for their franchise operation and for the impact that this chain is having on the global marketplace. After all, it’s rare for a chain to grow so quickly, and rarer for a chain to launch an international location just 11 years after opening their first national restaurant. But this is exactly what Moe’s Southwest Grill did, establishing a base in Turkey in 2011, and then in Russia in 2012. There are also Moe’s Southwest Grill locations in Jamaica and Costa Rica. Moe’s Southwest Grill store hours are not the same across the board. The opening and closing times differ depending on location. However, you can expect them to be open 7 days a week, form morning until night. You can also expect their store hours to be reduced slightly on Sundays and reduced significantly during certain holidays.